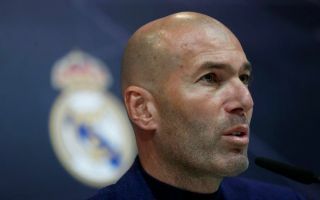 Former Real Madrid manager Zinedine Zidane is reportedly eager to seal the transfer of Karim Benzema for whatever club he manages next, including Manchester United. The French forward was a vital cog in his Real Madrid sides, despite looking somewhat past his peak as an elite goal-scorer in recent seasons. And according to Don Balon, Zidane remains keen on having Benzema in his next sides, with Manchester United, Juventus and Paris Saint-Germain listed as the three possible next destinations for him. This report comes as Diario Gol has also linked Benzema as a transfer target for Chelsea, who really look in need of a new signing at centre-forward after Alvaro Morata’s struggles. The 30-year-old would surely be a major upgrade on the Spanish flop up front for the Blues, whereas United actually already have a very decent striker in Romelu Lukaku. Quite what Zidane would plan for the Belgian if he were to add Benzema to his ranks is not yet clear. Sources close to the French tactician have told CaughtOffside he expects an offer to replace Jose Mourinho at Old Trafford soon, and that he’s communicated this with Paul Pogba and Anthony Martial. However, it is not yet clear from United’s end just how safe Mourinho’s job is, with varying reports coming out of the press in recent weeks.